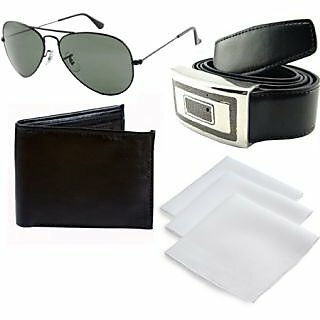 Shopclues is offering best Offer on Men's Combo - Avaitors, 3 Handkerchiefs, Wallet & Buckle Belt . Here we can get 75% Off on this Product. Coupon Code : SCAH59 . Use this coupon code to get the Offer .